Now that “The Ultimate Fighter Nations” has completed its season, the 13-bout lineup for the show’s finale has been finalized. Elias Theodorou will battle Sheldon Westcott in the middleweight tournament finals and Olivier Aubin-Mercier meets Chad Laprise in the welterweight tourney finals. The winners will receive six-figure UFC contracts. 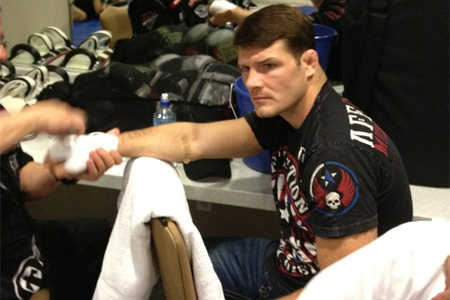 A middleweight grudge match between Michael Bisping (pictured) and Tim Kennedy headlines the gig. TUF Nations coaches Patrick Cote and Kyle Noke serve as the co-main event. Fox Sports 1 airs the main card live starting at 7PM ET/4PM PT. The April 16 event takes place inside Colisée Pepsi in Quebec City, Quebec, Canada.